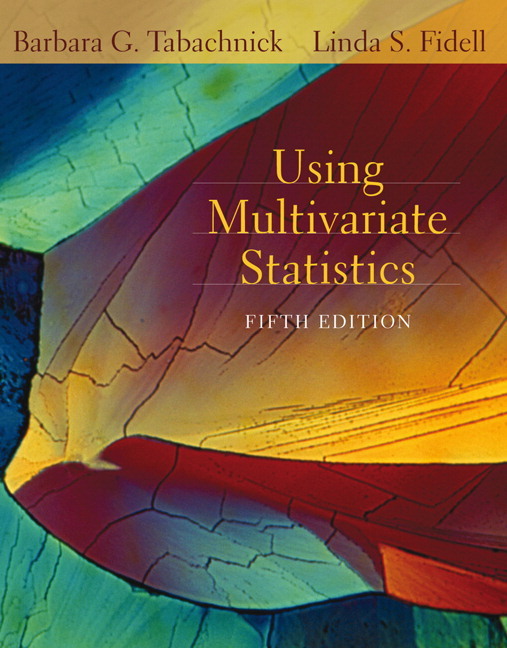 Using Multivariate Statistics, 6th edition provides advanced undergraduate as well as graduate students with a timely and comprehensive introduction to today's most commonly encountered statistical and multivariate techniques, while assuming only a limited knowledge of higher-level mathematics. This text’s practical approach focuses on the benefits and limitations of applications of a technique to a data set – when, why, and how to do it. Presents a comprehensive introduction to today's most commonly encountered statistical and multivariate techniques, while assuming only a limited knowledge of higher-level mathematics. Examples from the literature have been updated in all technique chapters. Latest SPSS (Version 19) and SAS (Version 9.2) syntax and output. Added commonality analysis to Multiple Regression chapter. Updated sample size considerations in Multiple Regression chapter. Updated sample size considerations in Factor analysis chapter. Complete example of Factor Analysis redone. Expanded discussion of classification issues In Logistic Regression, including receiver operating characteristics. Bivariate Statistics: Correlation and Regression. Complete Examples of Structural Equation Modeling Analysis. 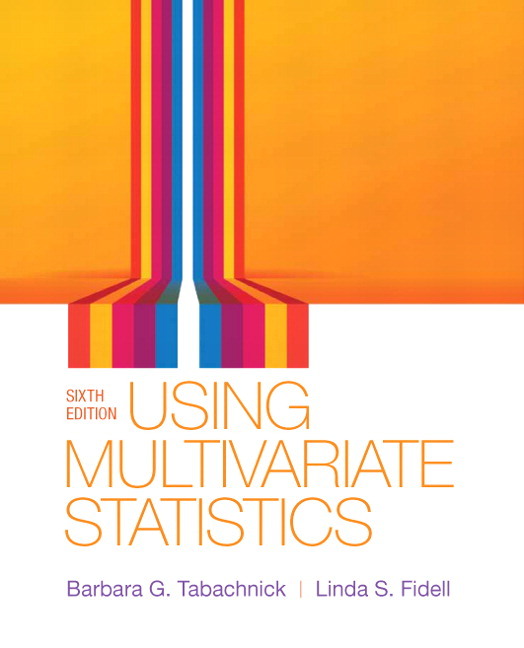 Barbara Tabachnick is Professor Emerita of Psychology at California State University, Northridge, and co-author with Linda Fidell of Using Multivariate Statistics and Experimental Designs Using ANOVA. She has published over 70 articles and technical reports and participated in over 50 professional presentations, many invited. She currently presents workshops in computer applications in univariate and multivariate data analysis and consults in a variety of research areas, including professional ethics in and beyond academia, effects of such factors as age and substances on driving and performance, educational computer games, effects of noise on annoyance and sleep, and fetal alcohol syndrome. She is the recipient of the 2012 Western Psychological Association Lifetime Achievement Award.